We’ve talked in depth on how working in New York video production boasts endless advantages through its never-ending stream of resources and opportunities. Well, one of our favorite resources lies just to the west and is greater in population and more geographically diverse than New York City. At just a three-hour drive from its rocky northern reaches in Mahwah to the southern coast at Cape May, the state of New Jersey has become terrain for our NJ video production team to conquer. Aside from just our comfortable proximity to the Holland Tunnel from our Lower Manhattan offices, most of our team is born and bred in NJ. So you definitely know that we’re sporting our Garden State plates with pride while driving up and down the turnpike to our shoots! While, NY video production offers its benefits, NJ video production has opened doors to years long partnerships and taken us to unforgettable places from racetracks, to company headquarters, to wildlife sanctuaries! Just last year, New Jersey Governor Phil Murphy reinstated the New Jersey Film Tax Credit program. The program is to incentivize diversity and boost local business through offering 30-35% transferable tax credit, amongst other benefits. 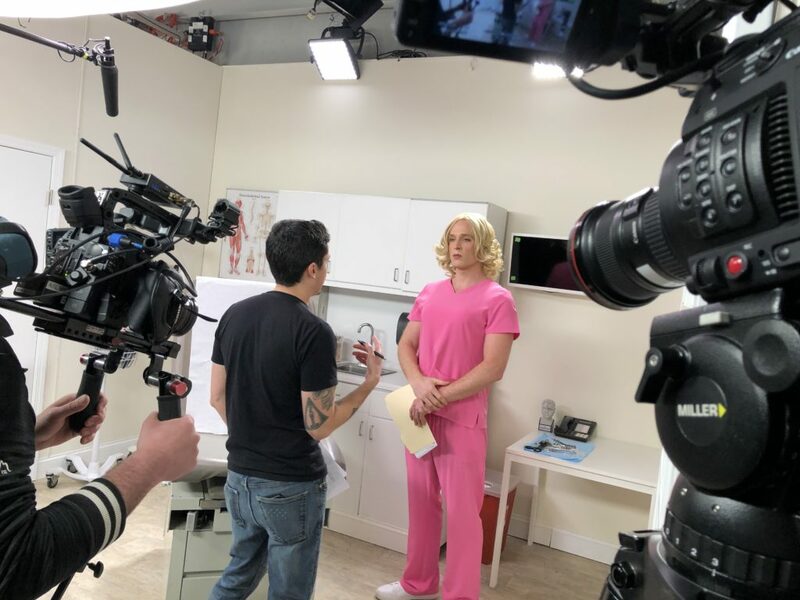 From independent productions to major networks, keep an eye out for streams of projects heading to New Jersey to film in the coming months. 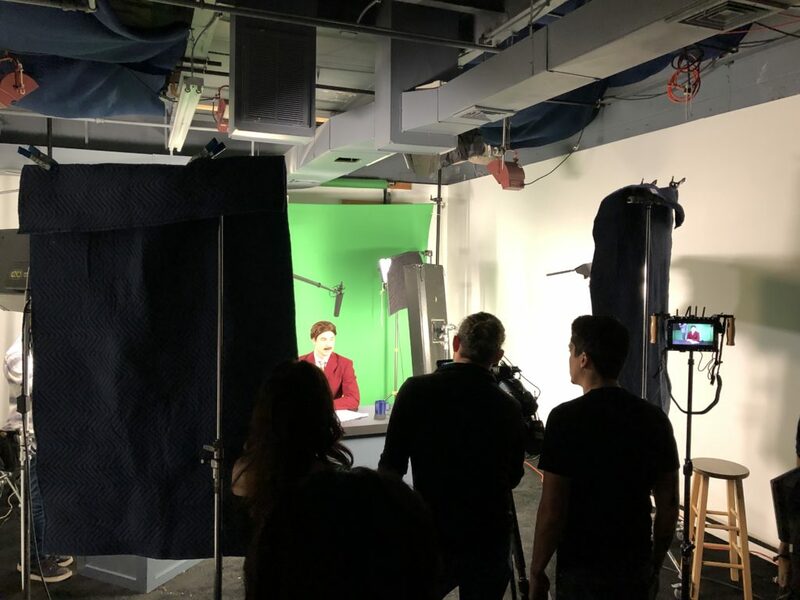 As a video production company with offices in both New Jersey and New York City, we’ve established connections with some of the best video talent in each region. Founded in New Jersey, ASL Productions is as equipped as any video production company to traverse the state, creating your company story video. With our E-Z Pass in tow and NJ plates on our van, we’ve spent countless hours driving up and down the Parkway and Turnpike shooting the best of New Jersey. Covering New Jersey is always different, since each city offers something totally unique from the next. From the corporate hubs of Jersey City and Newark, to the educational hotbeds of New Brunswick and Princeton, and up to the pharmaceutical headquarters around Piscataway, we’ve produced video content for NJ businesses big and small. No matter the corporate video production, we’re the NJ video production company that’s going to be there to take on your video needs. NJ Video Production has meant a lot to us. Whether its been a one-off shoot, or a long-term creative partnership, we’re always eager to get to the other side of the Holland Tunnel to see what awaits us. Last year, we headed to Somerset, NJ, where we teamed with Akorn Pharmaceuticals to put together a safety training video for their new hires. Safety training videos really give us a sense of duty as a video production company. Not only are we delivering a clean, high quality video, but we’re also servicing a tangible need for a company to make their own services purer and more risk averse. Testimonial videos have long been a staple of what we do at ASL. We’ve taken the ability to turn ones’ story into a compelling piece and craft it into a one-of-a-kind recommendation. People love to hear from real people before committing to a product or service. It’s our job to make your word on camera honest and sincere enough to act as a friend’s recommendation. Several years ago, we had the special opportunity to work with Miele Appliances, based out of Princeton, NJ, on a project that blended product video aspects with testimonial interviews. The result was something that we’re still really proud of. Though Miele is a huge international retailer, we had the chance to put our personal, local touch on their Hot-Water Dryer. 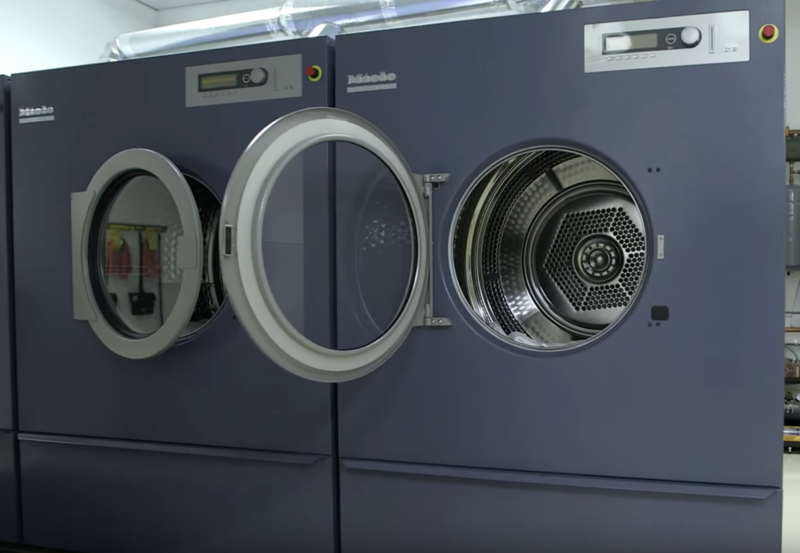 After detailing the specs of the dryer, we took to the town to profile local businesses that have been using the product, and getting their word out on why they use it. After the Nets moved to Brooklyn, the Devils became the only Big 4 sports team taking up the state of New Jersey in their name. Don’t be fooled though, because you won’t find states more passionate about their teams than Jersey. With two of the NFL’s most popular franchises sharing home turf in the Garden State and handfuls of minor league teams as well (we’ve shot for the Trenton Thunder and Somerset Patriots), we’ve put a lot of effort into promoting the sporting culture west of the Hudson. When Draft Kings wanted to shock fans with a surprise appearance by Odell Beckham Jr., we chose Parlay Studios in Jersey City as the right place to do it. NJ video production oftentimes offers what NY video production doesn’t: space, and lots of it. Studio space in New Jersey has been a go-to for us for years now. Oftentimes, on our projects with Barstool Sports, their studio requests will take us to New Jersey. 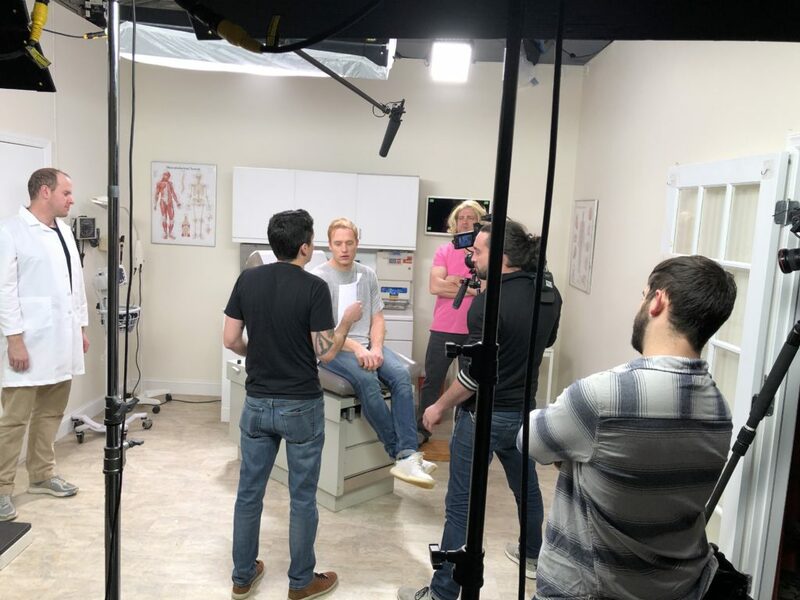 Just this winter, when shooting a commercial for their Roman Swipes campaign, they needed a large flexible space with a reasonable price tag, which led us to Sets to Go Studios in Woodland Park, NJ. In 2018, when New Jersey completely legalized sports betting, we linked up with the sports bookers William Hill to help promote their brand new locations. ASL’s crew was live, covering their grand openings at Monmouth Park, Ocean Resort, Tropicana Atlantic City, and the William Hill Lounge at the Prudential Center. We even dropped in on some of the action on Super Bowl Sunday! Did you know that New Jersey is the home to a whopping 19 Fortune 500 Companies? That’s right. 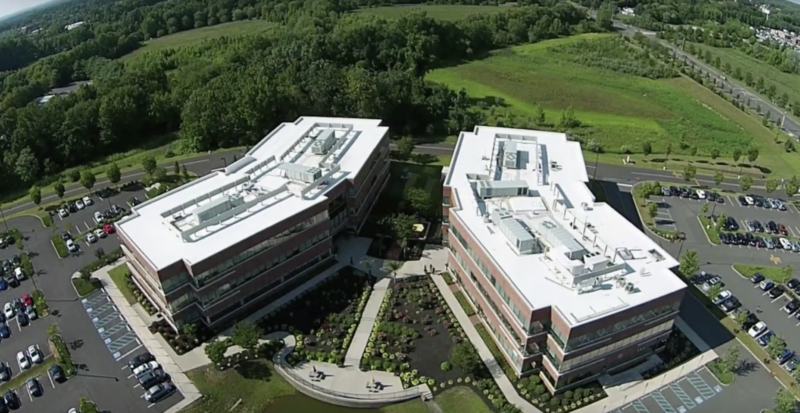 Johnson & Johnson, Bed Bath & Beyond, ADP, NRG Energy, Prudential Financial, and Merck Pharmaceuticals, among others laid down their headquarters in Jersey. The Garden State’s soil has proven fertile for big and small businesses alike, bringing us back for more and more shoots with startups, established corporations, and small businesses looking for original video content to give their brand a boost. 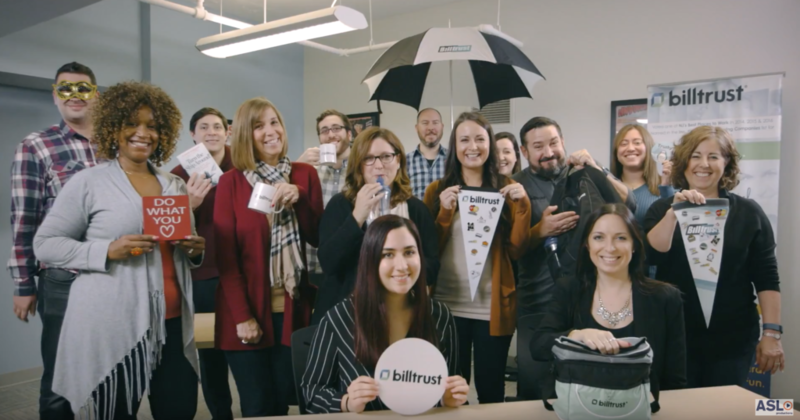 Billtrust, a payment management tech company based out of Lawrence Township, NJ, wanted to promote their product services as well as highlight their corporate atmosphere. We call these projects company story videos, where our job is to let the images and voices of the employees speak for themselves. We really took this project to heart, capturing the spirit of Billtrust through the sights and sounds of the daily life at their Jersey Headquarters. Whenever we have the chance to create corporate videos, we try to enclose them with the synergy that we experience in person and wrapping it up within an evocative video. ASL got our start in New Jersey, as did many of our most reliable camera ops, gaffers, and graphic designers. We’ve always wanted to give back to the state where we learned it all. 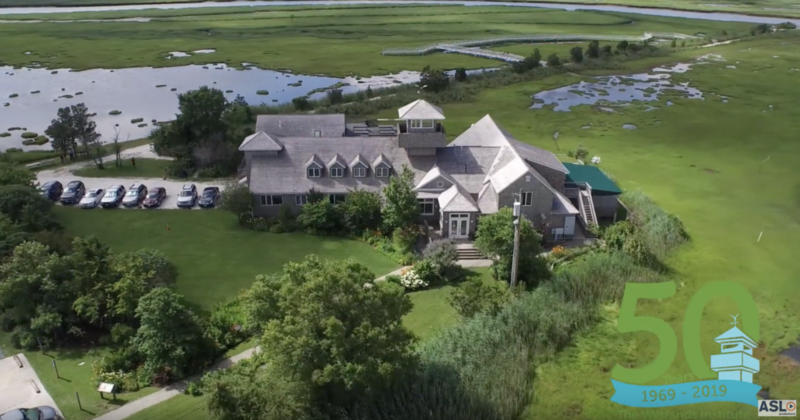 So when the Wetlands Institute, down in Stone Harbor, NJ, called us up to put together a fundraising video for their donors, we didn’t hesitate to hop in our van and head for the marshes down in the southern reaches of New Jersey. Being out there in the endless expanses of the wetlands, watching octopi emerge from a rock and learning about their horseshoe crab and terrapin rescue programs, the sheer diversity of work offered to us by New Jersey became ever more apparent. Where NYC video production offers us the rush of big city life, being an NJ video production company allows us room to take on incredible projects that open us up to new experiences and perspectives otherwise unexplored. Get a free quote by contacting us here!